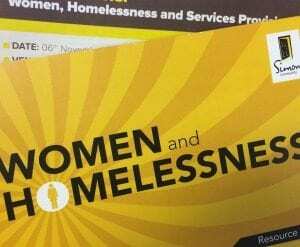 Dublin Simon Community regularly issue publications, reports and newsletters focusing on our work on behalf of people who are homeless or at risk of homelessness. Please click on the links below to view more. 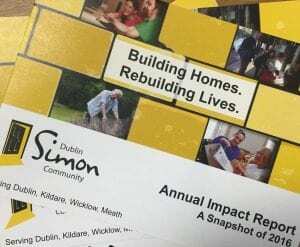 Every year Dublin Simon Community publishes our Annual Report with the yearly information on all aspects of the organisation. 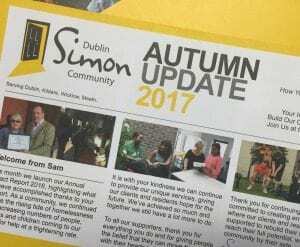 Our Simon Update is released three times a year in Spring, Autumn and Winter and gives an overview of Dublin Simon Community services with an update on events and activities. 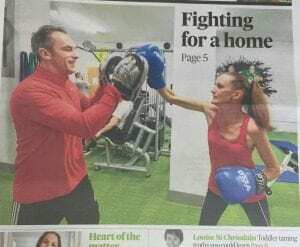 A selection of print, online and broadcast media coverage the Dublin Simon Community’s has received.